You are here: Home / Kawai Digital Pianos / Kawai MP11SE review: Better Than the MP11? Kawai MP11SE review: Better Than the MP11? If you’re looking for a new stage piano, it’s going to be hard to beat the Kawai MP11SE (SE stands for “Second Edition). 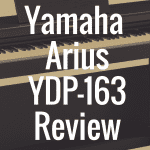 And in this article, I’m going to breakdown exactly what you can expect to get in this piano, how it sounds and feels, and if it’s really worth the extra amount of money compared to the original Kawai MP11. In order to better help you determine if the MP11SE is the right stage piano for you, take a moment to compare it against other notable stage pianos on the market in the interactive guide below. Kawai MP11SE vs Kawai MP11: What’s New? 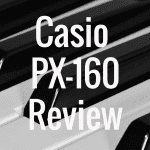 Whenever a popular digital piano gets an update of any kind, the first thing that’s important to figure out is what was updated and, ultimately, is it worth spending the extra dough for the new product. For now, let’s first address the question of what exactly has changed in the Kawai MP11SE. Well, for starters, there has been a small cosmetic change. On the MP11SE, there are now ebony polish side panels, instead of the more brown or rosewood endcaps on the MP11. I quite like, from a visual standpoint, how the side panels look on the original MP11. But the ebony panels are certainly a fine upgrade on the MP11SE. Much more important than aesthetics is the sound, and there definitely has been an improvement in piano sounds on the Kawai MP11SE. Here, you now get three very distinctive piano voices in the concert piano section of this piano. 3) Kawai EX Concert Grand (this is a full size concert piano. This was the predecessor to the Shigeru Kawai EX Concert Grand, which is listed above. It should be noted that the Kawai EX Concert Grand sound was a piano voice that came with the original MP11. The last major change when it comes to the MP11SE is the triple pedal unit. Now, the old triple pedal unit for the MP11 was made by Fatar. But now, Kawai has made their own pedal unit. The triple pedal unit that comes with the MP11SE actually uses optical sensors when the pedal is being pushed. On top of that, the pedals themselves are graded—just like a graded keyboard—so each pedal is going to feel slightly different when you press on it. Overall, this change to a pedal unit that not only features optical sensors but graded pedals means you’re going to have a much more improved playing experience that feels more realistic and more in tune with what you’d expect on an acoustic piano. On the MP11SE, you’re treated to Kawai’s Grand Feel piano action. This keyboard features long wooden keys. It’s important to note that the pivot point length is the same as what you’d find inside of a traditional grand piano. And what this does is it gives the pianist more control over the expression of his or her performance (much more than you’d get if you were playing on keyboard that featured shorter keys made out of plastic). Now electric piano sound is where you’ll of course find things like Fender Rhodes pianos, Reed Piano, Electric Grand Piano and more. And the Sub Section is where you’ll find voices like strings, vibraphone, pads and much more. As with many stage pianos, you can layer and split the keyboard here. You can actually layer up to three voices together. And in terms of splitting the keyboard, you could theoretically split the keyboard in such a fashion where your left hand could be playing an electric piano, and your right hand could be playing the bass or organ or any number of other voices. Very creative, intuitive, and fun. Let’s quickly take a closer look at the features, knobs and buttons on the piano’s front panel. Now on your far left is where you’ll find the pitch bend and modulation wheels. Next to that is where the master volume is, along with the volume for Line Input. Line Input would be things like a CD player or a mobile phone, or an MP3 player. This is really great if you wanted to play along with other music, because the sound from the device could, ultimately, play through the speakers of the MP11SE. Piano Section, E-Piano (Electric Piano) Section and the Sub Section—which we discussed earlier. Now, in the center panel of the MP11SE, you have the LCD screen, and four knobs that sit around it. These knobs control whatever is presently on the LCD screen at the time. This screen is backlit, too, so you’ll never have to worry that it will be easy to read when you’re doing practice sessions late at night. Next to the LCD screen and the knobs are your setup buttons. These help you store your settings properly (things like splits, layers, EQ and more). Now, the Kawai MP11SE has a really nice and powerful equalizer built inside it, and this helps you control the sound of the piano. For example, the EQ setting on the piano will allow you to alter the tone of the piano. The Transpose button is great whenever you’re playing with instruments or with singers in different keys. Now, next to that section is where you’ll see that you have four MIDI zones. Now, the MP11SE is one powerful MIDI controller, and it can actually control up to four MIDI sound modules that can ultimately be switched on and off using the MIDI zone buttons—which are located on the right side of the piano. In terms of additional features, the MP11SE can record your performance too. This is of course very helpful if you’re learning how to play a piece and you need to hear it back to best determine what you did right and what you did wrong. The back of the MP11SE is where you’ll find the quarter inch jack outputs, as well as the XLR outputs. XLR outputs are great for stage players in particular, who are plugging into a mixing desk or a stage box without the need for a DI box in-between. And finally, you have the GFP-3 triple pedal unit port. You also have the expression pedal and second footswitch ports, as well as the USB to HOST (a computer, for example). You also get three MIDI sockets (In, Out, and Thru). Now, there’s a very popular app called Virtual Technician, which essentially is a Kawai branded app that allows you to control the sound, touch and overall tuning characteristics of your digital piano. 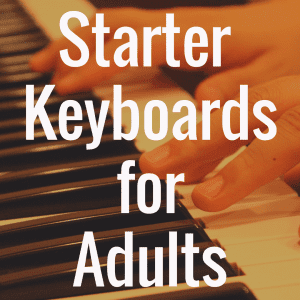 It essentially allows you to be your own piano technician, tweaking all kinds of settings in your digital piano to have the sound feel more authentic. Well, what’s cool now is that the MP11SE has Virtual Technician built inside the piano itself. Now, with the click of a few buttons, you can add in mechanical noises that you’d get if you were playing on an acoustic piano. So you want to really hear the sounds of what real hammers would sound like if they hit real strings? 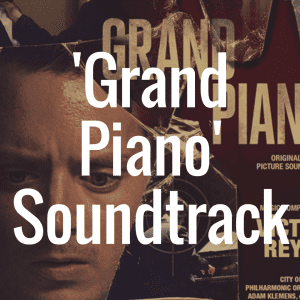 Or you want the sound of what it would feel like to step on a pedal attached to an acoustic piano? These are all things you can adjust via the on-board settings. 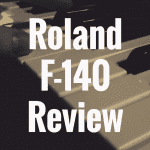 I already discussed the main differences between the Kawai MP11 and the Kawai MP11SE, but I wanted to take a brief moment to discuss how the MP11SE differs from the Roland RD-2000. The reality is that, while a lot of things are indeed subjective, it’s going to be hard to find a digital stage piano that can beat the Kawai MP11SE’s Grand Feel key action. And that’s in part because, with the MP11SE, you have a wooden key length and a pivot point length that is as long as you’d find on a traditional piano. That really means something when you’re playing on a digital piano that you hope can simulate the experience of an acoustic piano. I will say that there is a pretty substantial size difference between these two instruments. While the Roland RD2000 comes in at about 47 lbs, the Kawai MP11SE weights a whopping 72 lbs. So, if you plan to travel a lot with your stage piano—perhaps from gig to gig—I think that the weight difference between the two needs to factor in heavily into your decision. The Kawai MP11SE isn’t perfect, but it’s important to note that it does have the Grand Feel action, and it comes with a lot of things you’re likely interested in if you’re already seeking the VPC-1—pitch and modulation wheels, MIDI assignable controller sliders and knobs, ability to transmit program changes and controller data. And it even comes with 40 internal sounds. The Kawai MP11SE, because it can be used as a very effective MIDI controller, can likely do the same things you want the VPC-1 to do. 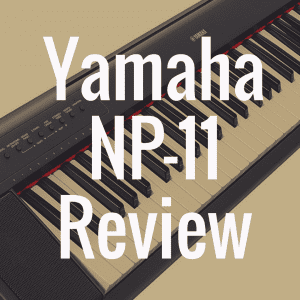 Ultimately, it just matters whether or not you’re willing to spend the extra $1,000 or so to acquire the MP11SE to also be able to take advantage of some of the piano-friendly features it has (the MP11SE is, first and foremost, a stage piano after all). The Kawai MP11SE is a wonderful digital piano that looks, feels, and sounds great. This Second Edition stage piano is a slight improvement over the original MP11, as it comes with two Shigeru piano sounds (SK-EX and SK-5) and a optical triple pedal unit that features graded pedals. Capable of working as a powerful MIDI controller, the MP11SE is an expensive instrument, but it just might be well worth the investment.